BlueyedBC: The search for a good mentor!...or something. The search for a good mentor!...or something. 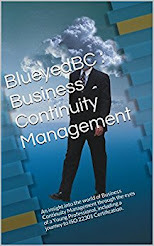 The current wave of change in business continuity in recent years is in my view extraordinary. The rise of ISO22301 has almost given the industry a new lease of life. It seems now that the guys who perhaps a year or two ago were working in bc as a gap between now and retirement, now appear to be actively building their portfolios for their adventures in to consultancy. This might be across all industries but it doesn't half seem like some 80% of the business is simply networking. In any case I've spent the last few years looking for someone I could shadow, who I could learn from and develop to become the best I could be in the profession. Looking back it's been quite the romantic notion... The most notable advice I have received thus far is as follows. "Always know more than the person in front of you"
Helpful eh? So far I am yet to find many business continuity managers who aren't faking it to some degree or another. These people who put on this professional, busy body front (something I'll be the first to admit I cannot do despite my best efforts) have done nothing but frustrate me in recent years. My first mentor in the industry was a really great bloke. He was considered the subject matter expert for BCM in one if the biggest hospitals in the UK. When he was asked to develop a business continuity policy his exact words to me were "here is a collegues' policy - just change the name of the company to the Trust and we're good". It was 120 pages of sifting before I realised 2 things. 1) the find and replace function on microsoft word would have saved me about a days work, and 2) a policy (or plan for that matter) doesn't work like that! Nevertheless it was approved by about a group of highly intelligent but extremely uninterested board members. Some great guidance there for my first gig - plagerise to the nth degree! My next mentor/ colleague was a very friendly individual. They liked good chat at work (much like myself). Nevertheless they were quite clearly a survivor-type and seemed to get away with saying the right things at meetings and making excuses for not producing a bc programme which lasted well over 5 years. 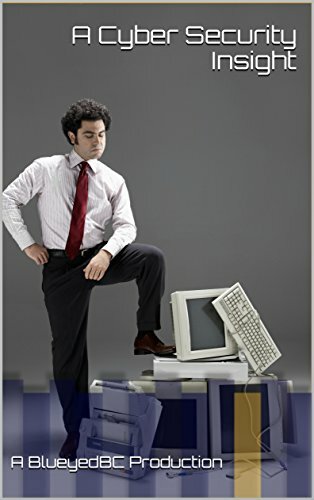 It was only maybe a month in to this job that I became so frustrated by his approach that I forged ahead with the approval of the senior manager to do what I could (with what little business continuity management knowledge I had). They didn't like this at all. My enthusiasm was infectious and there came an explosion of truth one day due to a misread email and took umbridge. They screamed "who do you think you are? Are you trying to make me look bad? As if I was letting the side down by trying to do rather than just say. But in all seriousness this mentor gave me a a really valuable flavour of the industry. The smoke and mirrors, the bluff, the looking calm under pressure when all about you is falling apart. They were quite brilliant at pretending to be an expert at something. I'm yet to grasp this talent! And finally my last mentor was in a government shared service. They were the business continuity lead for a number of local government organisations and while being quite brilliant at their incident response role, their bc was left lacking. They did have a standardised template and approach but if anything, it was a series of half completed, poorly maintained and misunderstood forms posing no value. HOWEVER, by adopting a similar bluff to the last mentor they managed to convince 3 chief executives of having a comprehensive bc programme. Quite unbelievable. So here I am now facing a new line manager/ expert / mentor. This one is an award winning, published author and is well known in the industry and I hope to learn from them.... But will history repeat itself? Is a career in business continuity a playful mix of poker face, charisma and casual deflection? I certainly hope not because I really want to get good at what I do! Good post Blueyed BC. Working in a company where I am the only BC professional I found advantages and disadvantages. I didn't inherit anyone else's bad habits which was a definite advantage! It was hard however to find someone that you could have a genuine industry based natter with. In the end I listened out at Forums and Exhibitions for someone who seemed to explain things without too many "buzz" words and sounded generally like they had common sense...bingo! I now get sensible and meaningful guidance from a real pro!